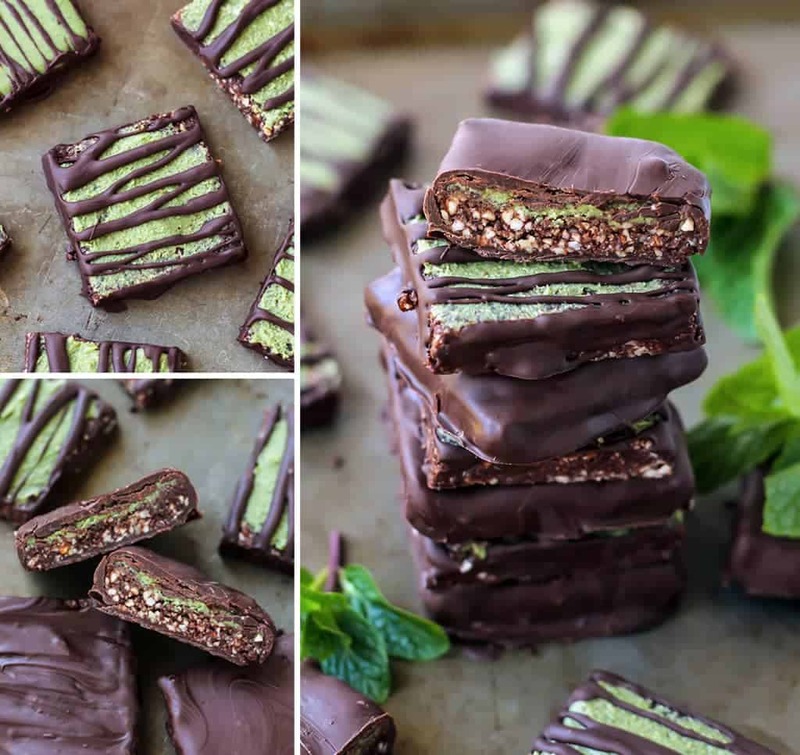 No-Bake Mint Chocolate Date Nut Bars! Simple ingredients, quick and sooo delicious. Vegan, paleo and a great healthy treat. All you need is a food processor and about 30 minutes! 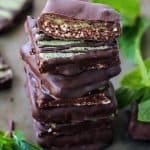 Okay, I’m not even sure where to begin here… I started out wanting to make a “copycat” mint chocolate Larabar, if you will. Basically because if you didn’t already know I am date-obsessed. 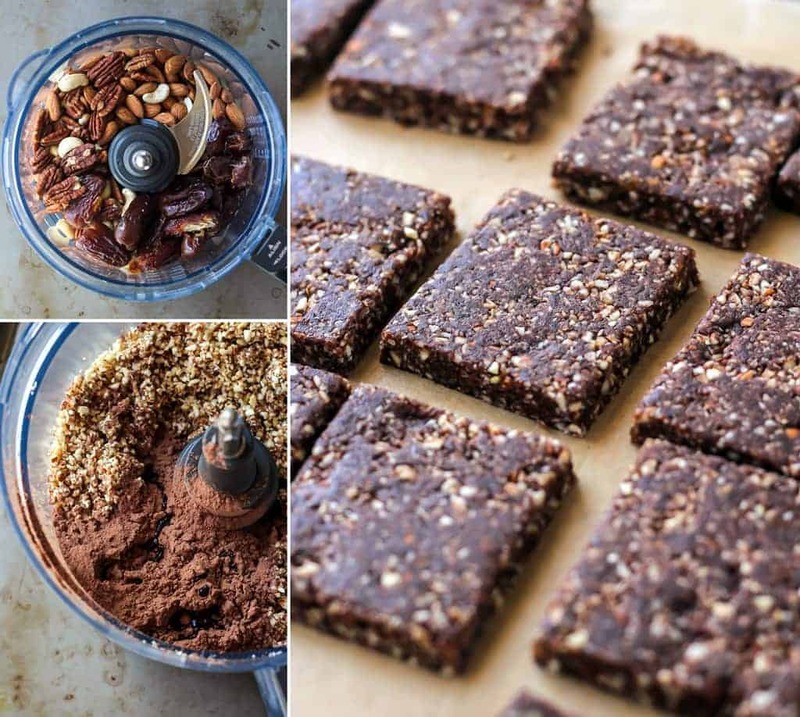 They truly do make the best healthy energy snack bar base. And I want you all to love them too 😀 Natural sugars, fiber and healthy fats FTW, my friends. But then I remembered it was March and that I have yet to share anything green with you. You know, because: St. Patrick’s day… Seriously, between the food holidays and the actual holidays, it’s rough keeping up in the food blogging world. So when I “think green” in terms of recipe creation and natural food coloring, I instantly think of matcha. Before you know it I was covering the tops of my bars with a melted matcha coconut butter mixture. Old habits die hard. And because I am who I am, I ob-vi-ous-ly had to add a chocolate drizzle… That was before I went ballz to the wall (yeah, I just said that) and bathed my mint chocolate bars in chocolate. Honestly you guys, I can just never decide! Of course either way is AHmazing. If you’re looking to use less chocolate (um, why?… JK, JK.) go the drizzle route. But if you’re looking for a healthy dessert-like bar… when I dip you dip we dip. Wow I am just all over the place today… Are you keeping up? 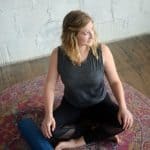 Have I completely lost you? I’m feeling a little crazy today. Maybe too much chocolate? Never. 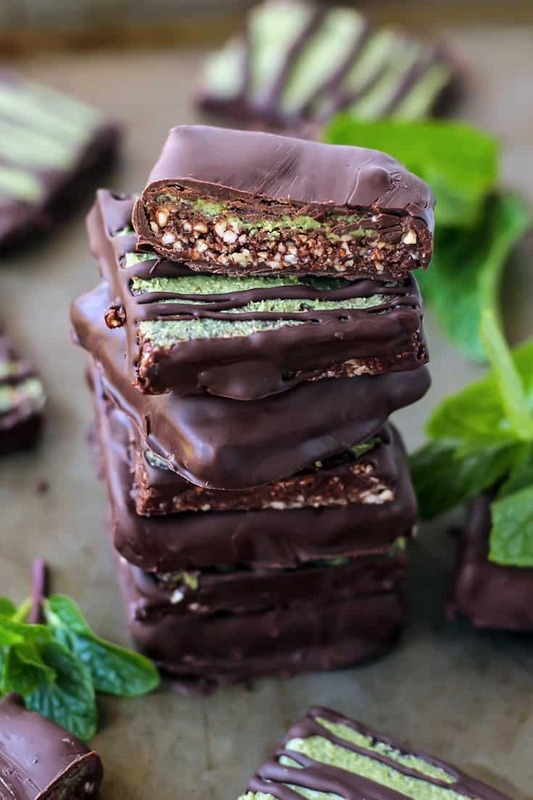 So these mint chocolate bars are much like my Simple 3-Ingredient Date Nut Bars, we’re basically just adding cacao powder and mint extract to the base. Once your ingredients are processed together you press the mixture into a lined 8×8 or 9×9 square pan and pop in the freezer for about 15-30 minutes. 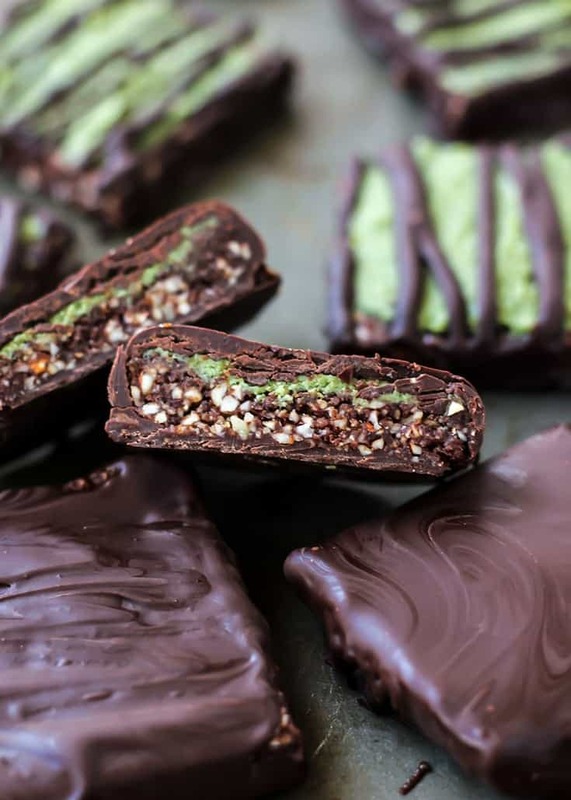 Just before the bars have chilled the full amount of time, start preparing the topping ingredients: warm the coconut butter and matcha (just about 10-15 seconds in the microwave so it is spreadable), and then next melt the chocolate for drizzling/dipping. *I cut the bars first BEFORE adding the matcha coconut butter. If you slather on the coconut butter while the bars are still in the pan, they’ll probably crack when you cut them. 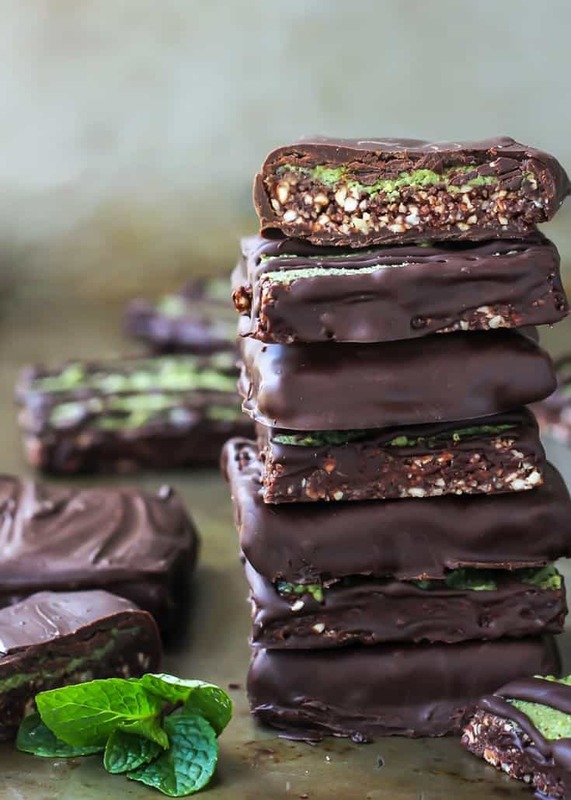 So if you’re adding the matcha coconut butter, I would spread it on one bar at a time. *Don’t skip chilling the bars in the freezer, as the cold temperature will make sure they hold their shape as you’re dipping them in the warm chocolate. The super cold bars will also make the chocolate set fairly quickly. 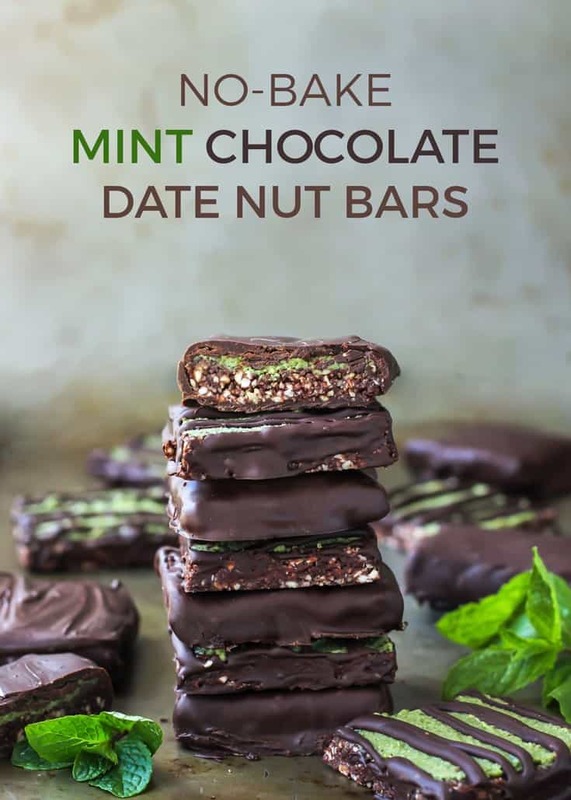 Which means these Mint Chocolate Date & Nut Bars are ready for your consumption in a matter of minutes. Line an 8×8 or 9×9 pan with parchment paper, or use a silicone square pan placed on baking sheet, set aside. In a food processor add drained/pitted dates and nuts. Process until dates and nuts have broken down, and only small pieces of nuts can be seen (you can see in the pictures above). Mixture should be slightly sticky. If it feels really dry, add 1-2 TBS water and pulse to combine. Transfer mixture to prepared pan, pressing evenly into all corners and press down flat. Place pan in freezer for 15-30 minutes to chill bars. As the bars have almost finished chilling, prepare the toppings: warm the coconut butter in microwave, about 10 seconds, until smooth, then stir in matcha powder. If your coconut butter is already spreadable you can skip this step. In a medium microwave safe bowl melt dark chocolate and coconut oil together in 20 second increments, stirring in between until fulling melted. Careful not to burn the chocolate. Once bars have completely chilled, cut into 16 squares. Place squares on parchment lined baking sheet. 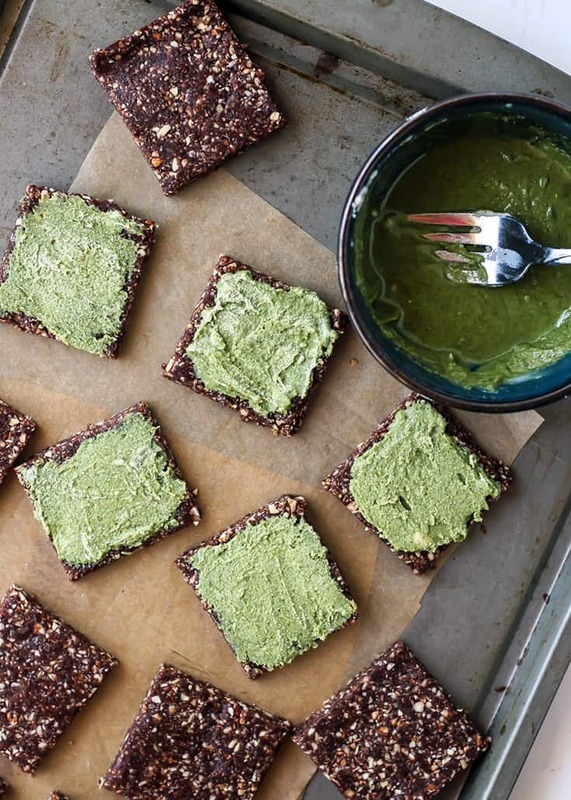 Start spreading on the matcha coconut butter onto each square in a thin layer, about 1 teaspoon. Next drizzle chocolate over bars in zigzag fashion with spoon. OR place bars on fork and dip into bowl of chocolate, coating with spoon. Gently lift bars from bowl and place back onto lined baking sheet. The chocolate will set on the chilled bars, but you can pop in the fridge to quicken the process. Once the chocolate has set, the bars are ready to enjoy! *If only drizzling the bars with chocolate, you should only need about 4oz total. If coating all of the bars fully in chocolate, you will need about 14oz of chocolate. Ummm WOW. These look amazing. Oddly I don’t like mint and chocolate though. Do you think I could just omit the mint extract? These look amazing! – Mint chocolate is my favourite combo!!! These look better than any larabar I’ve ever had! And perfect for St. Patty’s day! Yummy! Made them w/ vanilla, walnuts & almonds. Keep refrigerated? Yay! So glad you like Tracy 🙂 And yes–I would keep in refrigerator. Thank you! Oh man. Wow. 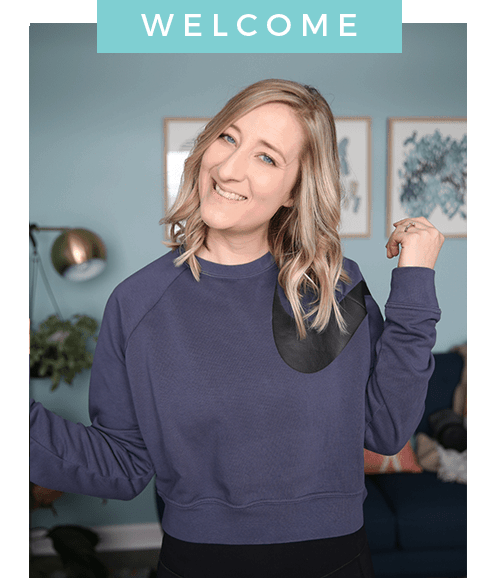 I can’t believe how good these look; you have this gift for making so many good recipes, and I just want to hang out on your blog all day and look at them; they always taste as good as they look! These are DEEE-LICIOUS! I don’t have a food processer so I did my nuts and dates each separately in my blender…then used my dough hooks with my mixer to blend them both together. Worked great! Awesome! So glad you enjoyed them and thanks so much for leaving feedback!